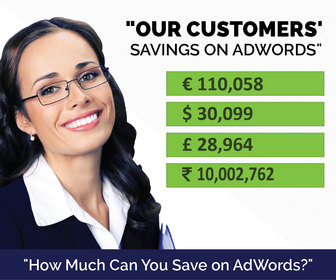 Posted 10:19 pm by Kirti & filed under AdWords Tips, Expanded Text Ads. Last year, Google Ads updated the Expanded Text Ads to include an additional third headline and a second description. With this change, advertisers got more room to display information. But has it also improved the performance of the ads? Posted 1:21 pm by Kirti & filed under AdWords Tips, Expanded Text Ads. To give advertisers more room for adding information, Google Ads updated the Expanded Text Ads with an additional headline and description . Posted 10:30 pm by Kirti & filed under Expanded Text Ads, Product Updates. A year back, Google announced their new ad format, Expanded Text Ads. Following that announcement, we launched the Expanded Text Ad Preview Tool to help advertisers create ads in the new format, share the ads and review it. Posted 2:26 pm by Kirti & filed under AdWords Tips, Expanded Text Ads.